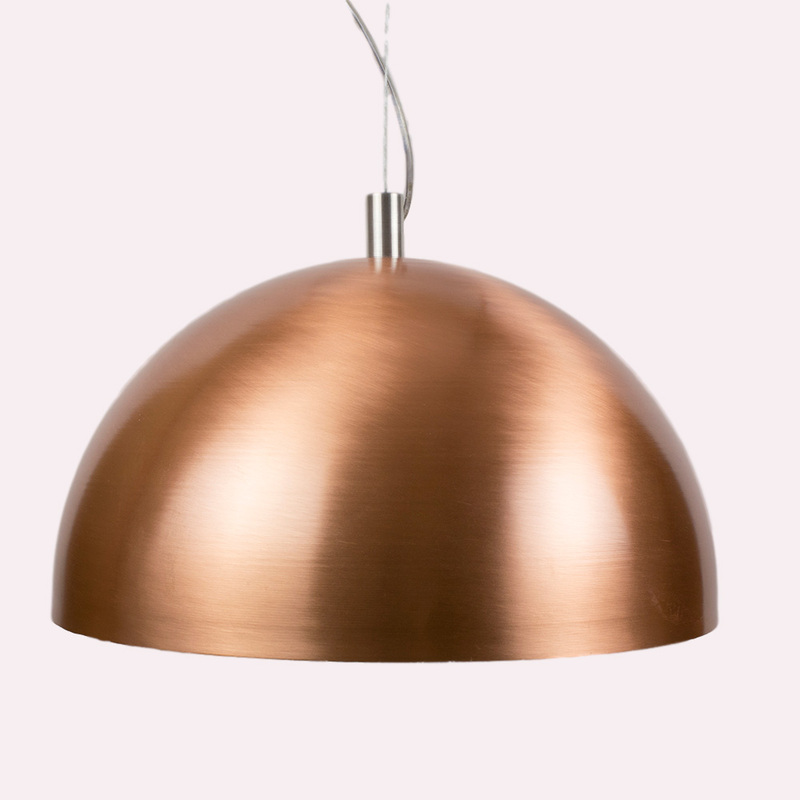 Our Copper Dome Shade Pendant Lamp is available in 3 different sizes and completely handcrafted in our workshop in Ravina, Italy. 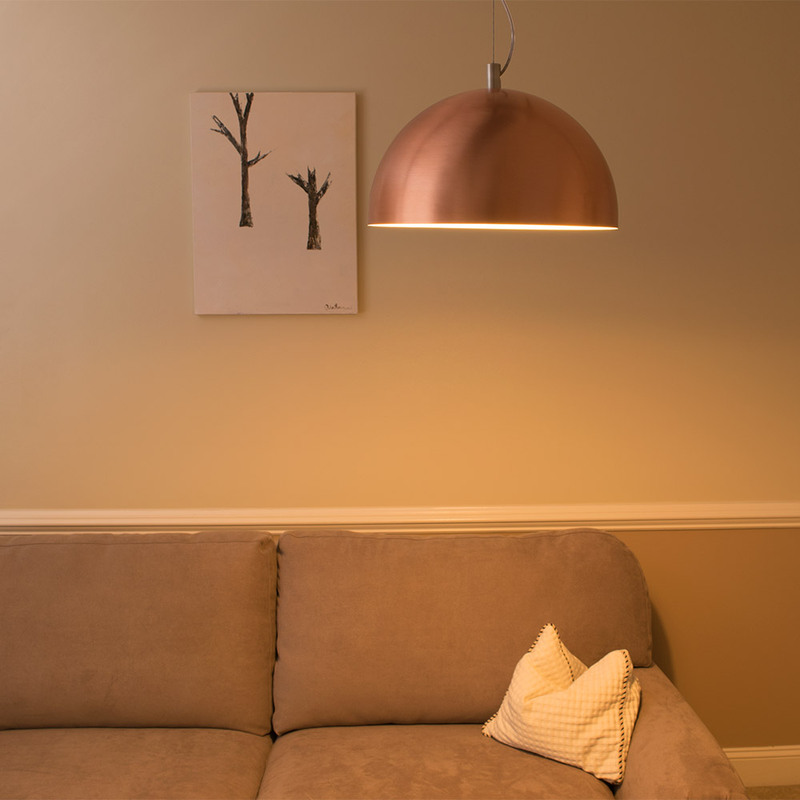 The contemporary dome shade design is ideal for a wide variety of use and effects. 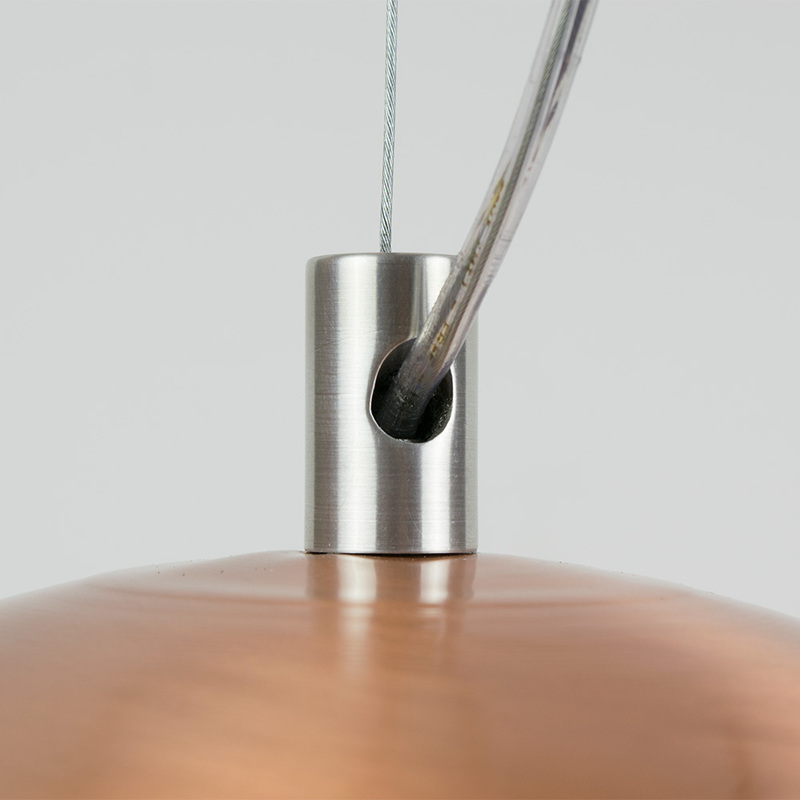 The steel suspender allows to either hang the lamp high for a wider lighting effect, or a lower drop for a more focused light effect. 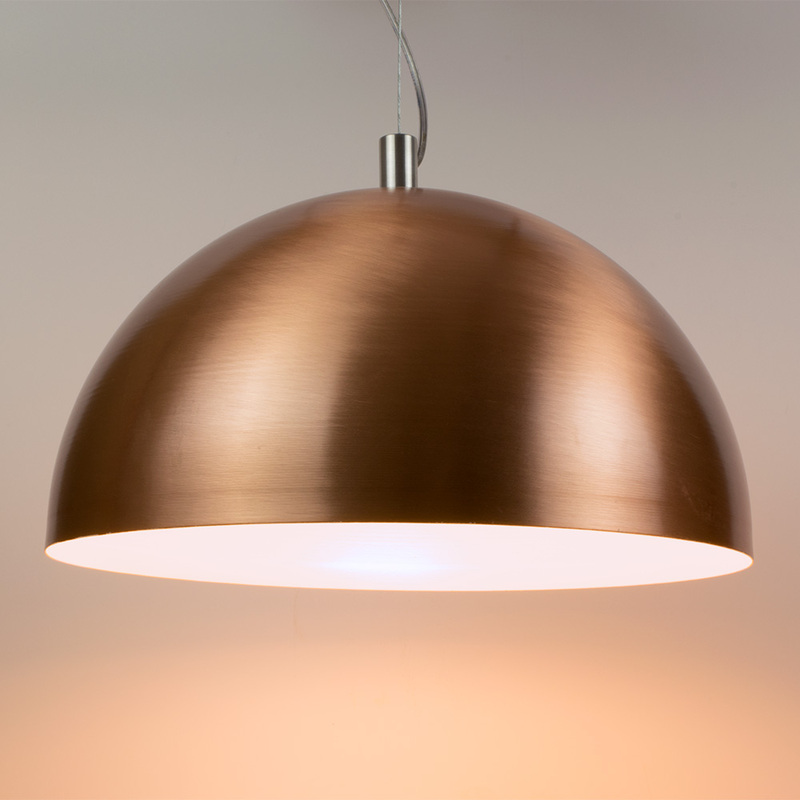 Thus, making our dome shade pendant light equally ideal for your kitchen, living room or study. 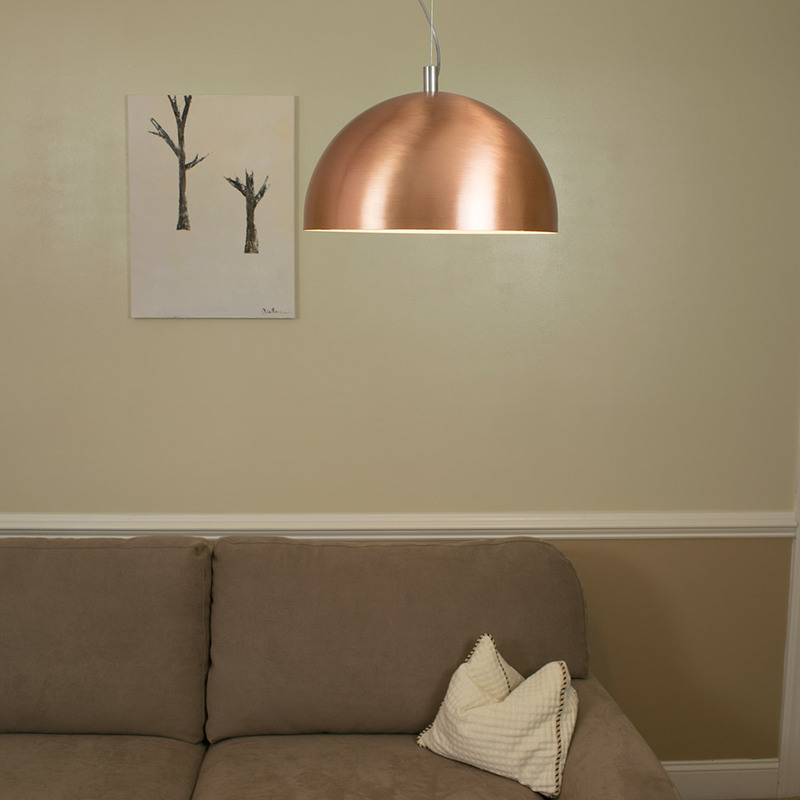 The inside is completely hand coated with a white reflecting coating intensifying the effect of brighter bulbs as well as warmer tones. 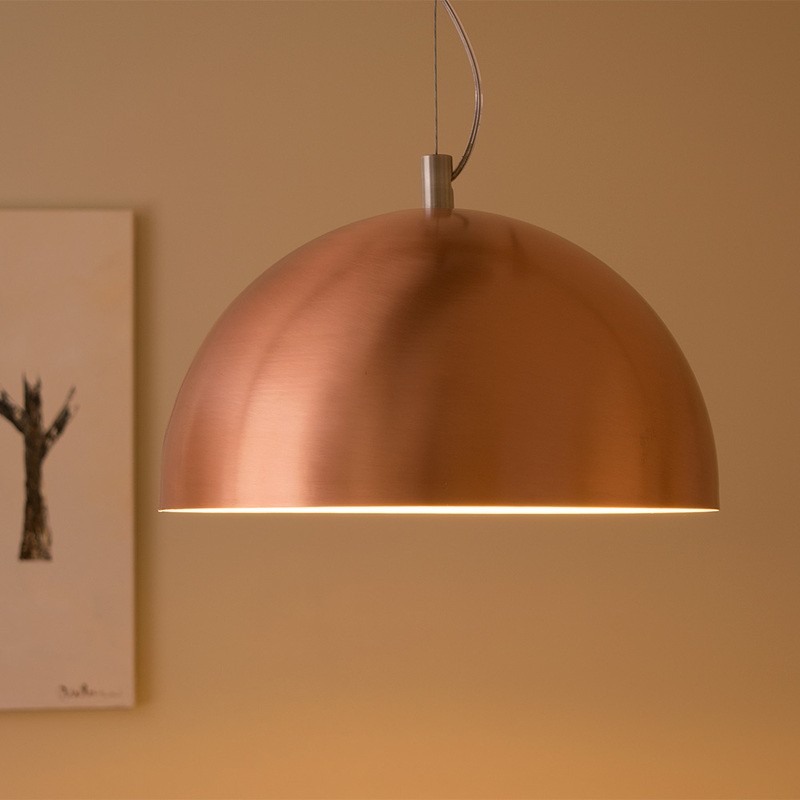 Each Copper Pendant Lamp is entirely handcrafted in our workshop in Ravina, Italy and packed in our beautiful �Bottega Navarini� cloth bag.